Photo from U.S. District Judge John Lee’s decision. U.S. District Judge John Lee dismissed the would-be class action Tuesday because the lawsuit failed to allege that the named plaintiff suffered actual damages, the Chicago Tribune reports. The size of the packaging led Stemm to think she was buying more of the candy than she actually received, her suit says. She claims that the misleading packaging violated the Illinois Consumer Fraud and Deceptive Business Practices Act. 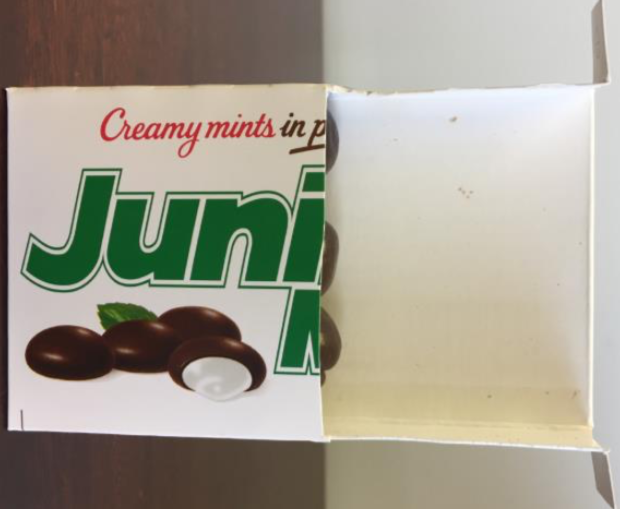 Tootsie Roll had argued that the Junior Mints box discloses the net weight and number of pieces inside, eliminating any possibility of deception. Lee sided with Stemm on that point. But Lee ruled for Tootsie Roll in the dispute over actual damages. The damages claim is not saved by an allegation that Stemm would not have bought the Junior Mints had she known about the slack-fill, Lee said. What is missing, he said, is an allegation that Stemm paid more than the actual value of the candy. Lee suggested a damages claim that might have been successful: an allegation that the oversized box led Stemm to think the individual candy pieces were bigger than they were, and the price she paid was the fair market value of the larger pieces. The suit is one of many that have been filed over slack-fill in candy boxes. At least 29 such suits were filed in 2015 and at least 37 more were filed in 2016, according to a 2017 report by the U.S. Chamber Institute for Legal Reform. A federal judge in New York dismissed a different suit over Junior Mints slack-fill in August.